Now available for order in either White or Oak. 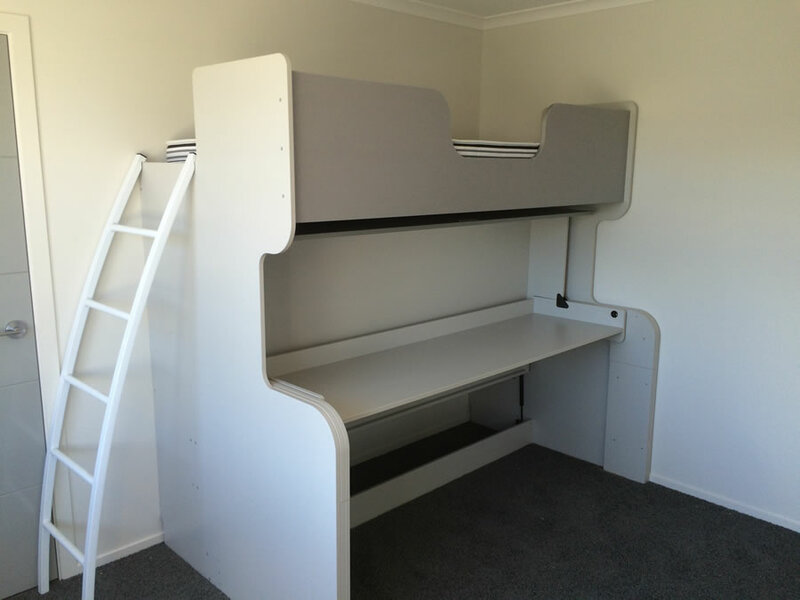 Bunk Beds instantly transform in one simple and safe operation. You can leave computers, printers in fact all the normal things you would expect to have on a desk in place, even that glass of water! This world wide patented concept gives you two rooms in one, and is the perfect solution for situations where space is at a premium. For example, a home office, an apartment, a holiday home, a spare or guest room. 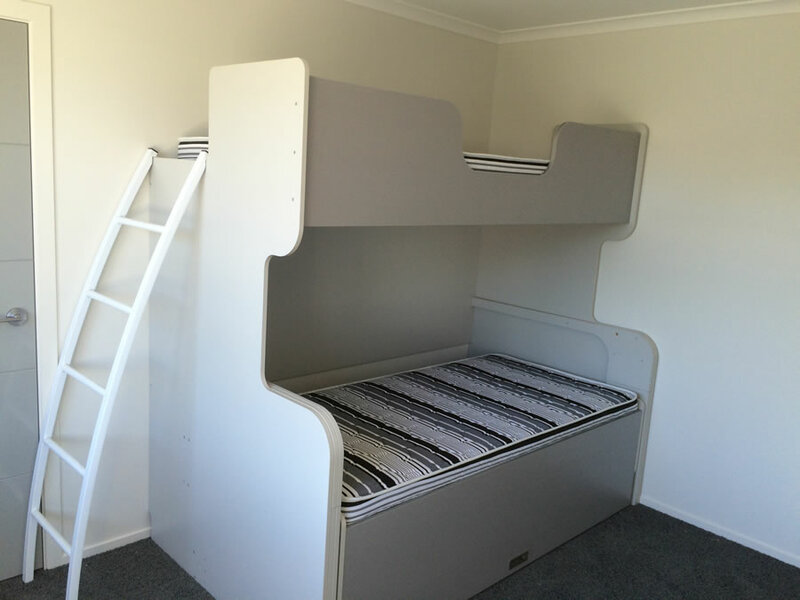 The additional bed it creates, can even add value to your property. Hiddenbed is also becoming increasingly popular for commercial and institutional applications. 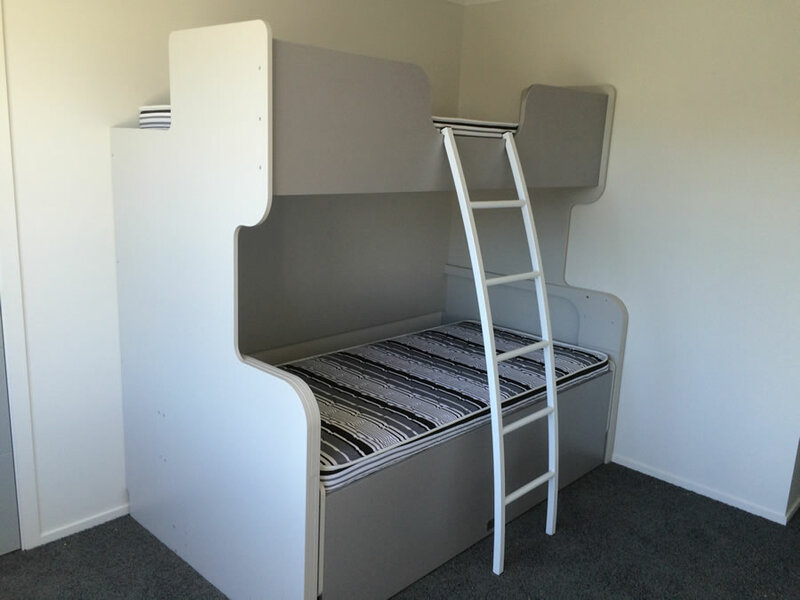 The amazing Hiddenbed Bunk Bed. Perfect for the growing kids.